Students study Latin and learn to debate. Strict behavior code may not appeal to some. South Bronx Classical is a high-performing charter school where students study Latin, learn to debate and have multiple math and English lessons each day. 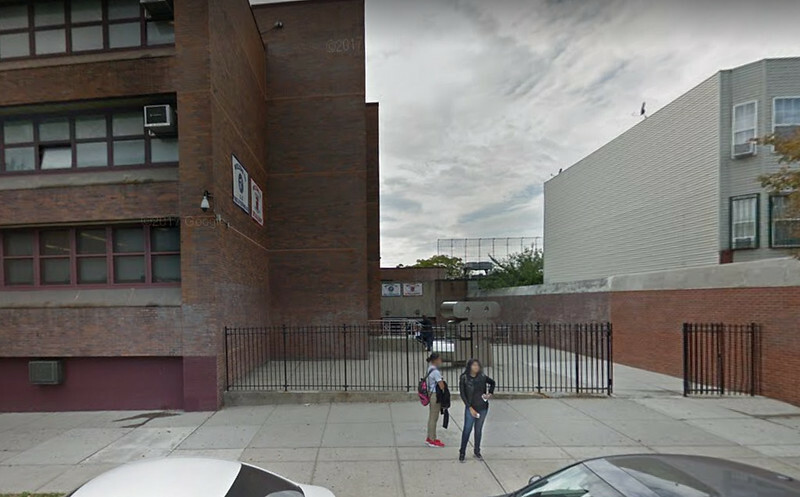 Part of a small charter school network, South Bronx Classical has a school day and school year that are longer than in traditional public schools.Class size is small20 students or less, even in the upper gradesand there are only two classes per grade. The school delivers on its classical theme. Latin instruction begins in 3rd grade; debate classes start in 5th grade. Theres a heavy emphasis on learning facts and honing skills and by middle school, students tackle challenging work and have an impressive command of history. We observed 7th-graders who were parsing a section of "Mein Kampf" and at ease drawing on detailed historical references such as the Treaty of Versailles and the Austro-Hungarian Empire in response to the teachers questions. The tone is orderly and formal. Children wear uniforms and must adhere to a strict behavior code. When listening to the teacher, theyre expected to sit up straight with hands folded on the desk; a student may be admonished for behavior such eye-rolling, sulking, whining and talking back. Repeat offenders will face tougher consequences, such as suspension. The benefit is there is little time is wasted in transitions between lessons; the drawback is that the school has an above-average suspension rate. Classroom instruction is mostly traditional, with students sitting in rows listening to the teacher deliver a lesson, though we saw some instances of group work. Kindergarten is very academic. In one class we observed the teacher worked with a small group of students, while a few others gathered around an easel to work on sentences and the rest worked independently at computers or read books at their desks, arranged neatly in rows. Classes run from 8 am to 4:30 pm and the longer school day is packed with instruction. For instance, in the elementary grades English is taught across several lessonsgrammar, writing, read aloud, guided reading and close reading (analyzing text for meaning)that are dispersed throughout the schedule. Students have a traditional skills-focused math lesson and one dedicated to word problems each day. Starting in 6th grade, students are grouped by skill level for math, grammar and textual analysis (similar to close reading). Eighth-graders take the Living Environment Regents and typically all pass it. Art, music and gym are provided in all grades. Located in the Longwood neighborhood, a couple of blocks from the nearest subway station, South Bronx Classical shares a building with IS 217, School of Performing Arts and the Entrada Academy. Each school occupies its own floor. South Bronx Classical elementary school students have their own entrance. Middle school students in all three schools pass through metal detectors in the main entrance. Elementary school students participate in building-wide after-school activities run by the Beacon program. South Bronx Classical runs its own after-school program for middle school students (grades 5-8). The school sends graduates to a range of high schools; some attend specialized high schools, other competitive schools such as Beacon as well as independent and Catholic schools. SPECIAL EDUCATION: A special education teacher and several learning specialists work with children individually and in small groups. There is a fulltime psychologist and part-time occupational therapist on staff. How many middle school students scored 3-4 on the state math exam? How many middle school students scored 3-4 on the state reading exam? How many 8th-graders earn high school credit? How many English language learners scored 3-4 on the state math exam? How many English language learners scored 3-4 on the state reading exam?